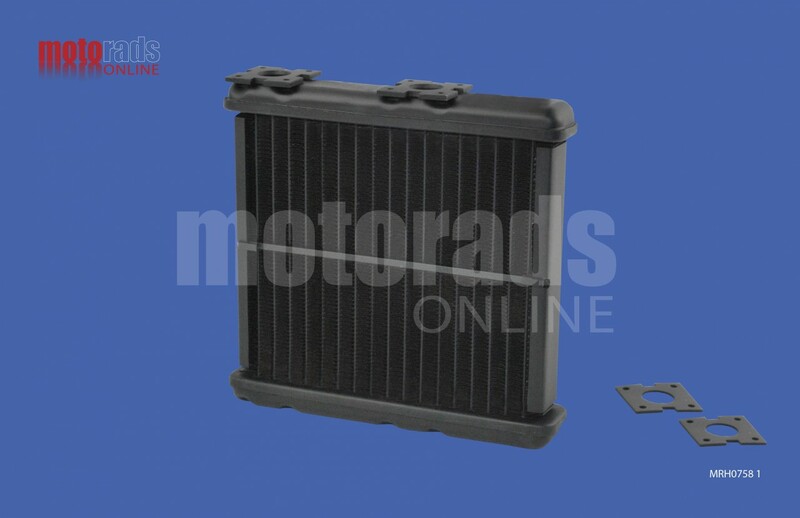 A Top Quality Heater matrix to fit the Mitsubishi L200 1994 to 2004 (K74). This is a very popular copper and brass aftermarket heater matrix made to the highest standards in the UK. This heater is considered to be more robust than the original vesion and comes with a full warranty which you wont get with some of the aluminium units available. The original pipes are to be re-used and there are gaskets supplied. A very small amount of some models have slightly wider top plates. This is not a problem as our heater will fit with the foam we provide and because the actual core is the same thickness as the original the performance will not be affected. You can however contact us if you want the thicker version. You can click on the image to enlarge it or move your cursor over a specific area to look more closely at a particular feature on the heater core. The dimensions given below are at the longest, widest and deepest points of the heater and not the centre core measurements. If you are not sure whether this is the heater you require please contact us and we will help.